While food cravings are a well-known symptom of pregnancy, surrogate and otherwise, it’s still not quite understood what causes them. Some experts believe they’re meant to indicate nutritional deficiencies in a woman’s diet, while others believe that the types of food being craved are indicative of the baby’s gender. In a recent survey, 80% of pregnant women said they’d experienced food cravings. 40% of them craved something sweet, 33% wanted salty foods, 17% craved spicy foods, and 10% craved sour and citrus fruits. Based on these results, the top ten foods included ice cream, pickles, tomatoes and tomato sauce, lemon, cheese and chocolate. It seems relatively common for women to want animal fats – steak and pork fat, for instance. Some women want strange combinations – black olives on cheesecake, pickles wrapped in cheese, and eggplant on pizza have all been reported. Exclusively craving a single food is also common – pickled onions, salsa and peaches seem especially popular in that regard. Following the birth of their baby, many women for some reason experience an aversion to those same craved-for foods. 1. Hormonal changes may alter a woman’s senses of taste and smell, making her want food she normally wouldn’t have enjoyed. This theory could also explain why menopausal women often experience food cravings/aversions. 2. They’re a reaction to nutritional deficiencies. For instance, a craving for pickles may indicate low sodium levels in the blood, while a vitamin B deficiency may drive a craving for chocolate. Desire for red meat could indicate a need for protein, while cravings for peaches could be a result of low beta carotene levels. 3. Emotional changes are known to be connected with food intake – a pregnant woman may crave certain foods, consciously or subconsciously, as a response to emotional needs. Often pregnant women want foods that remind them nostalgically of their childhoods, or perhaps their cultural/religious backgrounds, particularly if they haven’t eaten those foods in a while. Remember that there’s no scientific consensus on this – no data to prove that cravings are related to biological needs, and none to prove that they (generally) are harmful. But it’s important regardless to watch your diet while pregnant. Find healthy substitutes for the tastes your body is craving, and never deprive yourself of food in general. If problems do arise that prevent you from eating balanced meals and gaining weight as you should, check with your doctor – it may be indicative of something more serious. As a surrogate mother, your intended parents will most definitely appreciate your taking care of yourself. One of the most common discomforts associated with pregnancy is acid reflux, or heartburn. Several factors associate this with pregnancy, but they boil down to hormonally-driven bodily changes. It’s relevant that even women who had never previously suffered from acid reflux, may experience this during pregnancy. The problem usually manifests in pregnancy’s later stages, especially once the fetus has developed into full-term. The severity does vary between women – some surrogate mothers receive very mild, tolerable and controllable symptoms, while others unfortunately experience much worse bouts. But it may help to understand just why this discomfort occurs. One of the factors linking heartburn to pregnancy is the hormonal change that happens then – an increase in hormonal levels can drive certain changes in how the body functions. For instance, the lower esophageal sphincter – LES – may loosen up, causing gastric acid to flow up, or ‘reflux’, into the esophagus. The main function of the LES is to prevent stomach acid from doing this, but it’s loosened by hormonal changes. Another factor is the simple change that occurs to a woman’s body. As the baby develops and grows, the woman’s belly expands to accommodate its increasing size and the associated increase in amniotic fluid. This can cause some amount of pressure to the esophagus and stomach, disrupting normal digestive processes and thereby causing acid reflux. There are several ways to avoid the problem. One is to avoid foods that tend to trigger or aggravate the system – citrus fruits/juices, spicy foods, oily or fried foods, and processed food products especially. It may also be a good idea to cut down on chocolate and caffeine. Another tip is to eat small but frequent meals throughout the day; this helps to achieve efficient digestion. Light snacks between meals will keep you from experiencing hunger pains – the point is to avoid heavy meals that put pressure on the digestive system and trigger heartburn. Acid reflux is definitely preventable, if you observe the proper measures. 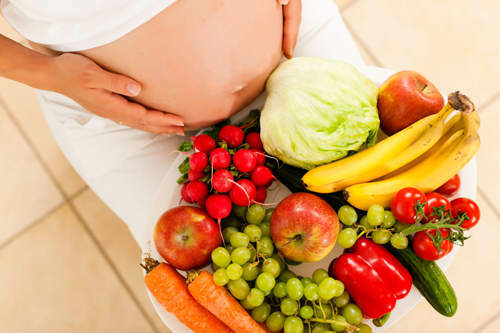 Learn what to do and make changes in your eating habits to control it – and therefore enjoy a healthier and more comfortable surrogate pregnancy. For the most part, surrogate mothers aren’t in it for the money. They do expect to be compensated for their considerable time and effort, but it’s not their primary motivation. We’ve found that, generally speaking, the women who make the best surrogates are the ones who are in it more for the emotional rewards. After they’ve delivered, we interview our surrogates. We’ve consistently found that, of the ones who want to repeat the experience, their main motivation is the emotional reward and not the money. A medically-qualified surrogate must have given birth at least once before, so most of our surrogate mothers have their own children. They report that one of the main reasons they want to be a surrogate is because they enjoy being a parent, love their own children – and wish to help other people achieve the same happiness. After all, it’s an amazing gift to be able to offer: helping to create a lifelong bond between the intended parents and the baby you’re carrying for them. It’s a selfless act and an extraordinary gift; most of our surrogates find that the negative side-effects of pregnancy are more than completely justified by seeing the joy and happiness in the intended parents’ eyes. Not that the negative side-effects are such a big deal, to the women who do best as surrogate mothers. They tend to be women who give birth easily with few complications, and feel at their healthiest when pregnant. 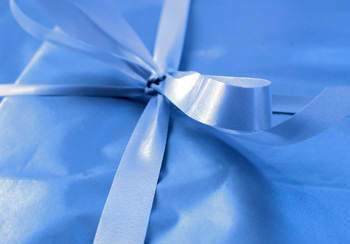 given that extraordinary gift – while making them feel fantastic. All things considered, money is the least of what drives our surrogates. It’s a common misconception that they’re doing it for the cash – really, it’s the emotional reward, the desire to help others in their own small way. Being told that you need a surrogate mother to carry your baby is an overwhelming experience. If you are like most intended parents, your first instinct is to ask a friend or relative to be your surrogate. You may think this is the best choice for you since you will feel comfortable knowing that your surrogate is someone that you trust to carry your child, and also because your friend or relative will probably not demand as much money as an unknown surrogate would demand, so you would save money. There some important things to consider before choosing a friend or relative to be your surrogate mother. The surrogacy process is long and intense for the surrogate mother. First, she must pass medical tests before the physician will allow her to proceed as your surrogate. Another important screening test that you would have to get your friend or relative to undergo would be a psychological test. This screening test can be a bit difficult to ask from your friend or relative but it is important. The stress and emotional complications associated with the process of surrogacy can take its toll during the journey so it is better to have your friend or relative pass this important test first. Then, she must faithfully follow the complicated fertility procedure instructions, including taking injections and other medications, going to medical appointments and undergoing medical procedures. All of these steps are critical to a successful surrogacy. If your friend or relative does not follow all of the instructions she is given to the letter, the result may be a failed cycle and no pregnancy. When you use a friend or relative as your surrogate, they may not take their responsibilities as a surrogate as seriously as an unknown woman who is being paid to be your surrogate. An unknown surrogate will make sure to act responsibly because she is financially motivated to do so. If your friend or relative does not meet all of the doctor’s medical requirements for a surrogate, you may request that the doctor allow her to proceed anyway, because she makes you feel the most comfortable and you think she is the most affordable option. While the stipend you would pay to your friend may be less, using your friend as a surrogate mother may end up costing you much more in the long run. If you friend is not medically qualified to act as your surrogate, the chances for a successful pregnancy may be dramatically decreased and you may need to repeat the fertility treatments until a pregnancy is achieved. These treatments are normally very expensive, and you may not be able to afford all of the treatments you need to have before a pregnancy is achieved. Using a friend as your surrogate may end up costing you much more than using an unknown surrogate would have cost you. If your friend or relative is not medically qualified to be your surrogate mother, you may decide to not use her as your surrogate. This can potentially create a lot of problems in your relationship with her. Perhaps your friend or relative was really counting on the money you would have paid her to be your surrogate and is angry that you are changing your mind. Perhaps she may feel as though she is incompetent or not good enough to be your surrogate mother and feel resentful towards you. You might blame your friend or relative in the event that the fertility treatments fail and be angry with her. You might be resentful of your friend or relative if she insists on being your surrogate despite not being medically qualified since she may be hurting your chances of having a baby. Getting someone you know involved with your surrogacy journey may seem like a good plan to you. In reality there are very few times when using a friend or relative as a surrogate mother are as low-cost, successful and stress-free as the intended parents had planned. Using someone you know often increases the treatment costs and chances for emotional conflict and decreases the chances of success. It is more preferable to use a surrogate referred by a reliable surrogate agency. Surrogate agencies have pre-screened these surrogates by reviewing their medical records and background history. These surrogates from surrogate agencies are medically qualified to carry a child to term. They are emotionally stable and know exactly what their responsibilities are on your surrogacy journey. To ensure a stress free surrogacy, it would be better to trust surrogacy agencies that know exactly how to support and help you with this journey.